Humans are amazing. But have you ever wondered why some have abilities even beyond those that most of us hold? Superhuman: Life At The Extremes Of Our Capacity looks at how some accomplish the unbelievable. 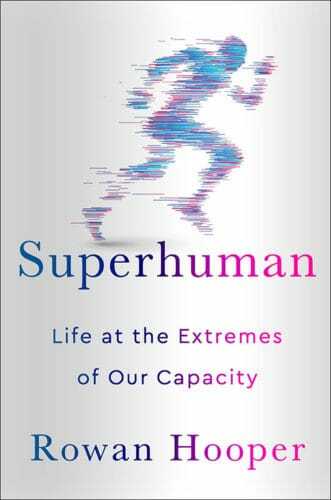 In Superhuman: Life At The Extremes Of Our Capacity, Dr. Rowan Hooper sets out to explore how some are able to achieve superhuman-like performances in the areas of; intelligence, memory, language, focus, bravery, singing, running, longevity, resilience, sleeping, and happiness. In each area, stand-out examples in ability are examined through interviews with these super-humans. Scientific experts and research are also examined in an attempt to quantify what it is that allows some to perform far above average. How are some able to live to be well over 100 years old? What allows a few to push their bodies to run insane distances? Those questions and many more are explored throughout Superhuman. Though interesting at first, the chapters in Superhuman seem to wear on far too long. The initial investigation into each topic areas is covered and then there seems to be additional length where nothing of real value is added. Talking in circles without providing more value to the examination. Though Dr. Hooper is a PhD in evolutionary biology, none of his own research is presented throughout the book. Generally we see books on similar topics also include some research examples the author can offer from their own experience. It seems strange to have none included and makes one a bit less trusting of the examination the author undertakes. In the end, Superhuman fail to draw any real conclusions. While we explore dozens of examples of superhuman ability, the reasons they exist are all left a mystery. How can you live longer? No idea. What allows some to run crazy distances? We’re unsure. Why can some sing better than others? Who knows. We’re left with no answers to the questions the book sets out to explore. The areas they set out to study in Superhuman are certainly interesting. It’s great learning about top-performers and their amazing abilities. But at some point it becomes a bit tiring when we’re unable to find a way to advance our own performance, and that’s where this read falls short. For those still interested in learning about people pushing the boundaries of human capabilities, grab yourself a copy of Superhuman: Life At The Extremes Of Our Capacity from Amazon now.